Around the world, patrons rely on the hospitality industry in many aspects of their life. From restaurants and hotels, to shops and amusement parks, we experience different forms of hospitality on a daily basis. With origins dating back thousands of years, hospitality is an important concept on which countless businesses operate. 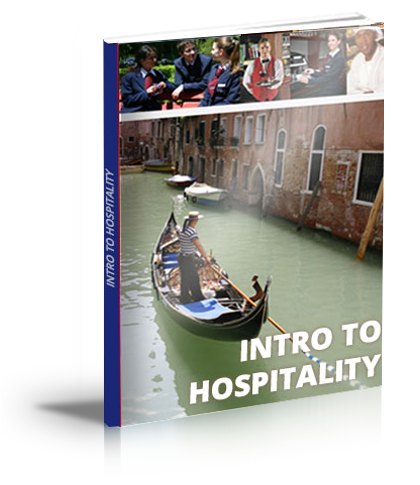 To fully understand why hospitality is important, you must first familiarize yourself with the concept of hospitality and how it affects the world around us. Hospitality is both a concept as well as an industry. The term "hospitality" refers to the relationship between a guest and a host. If you invite a friend or family member over to your home for dinner, for example, you'll perform hospitality by accommodating the guest's needs. Some businesses rely on hospitality to perform their operations and generate revenue. These hospitality businesses include restaurants, cafes, clubs, bars, hotels, motels, coffee shops, and travel agencies, just to name a few. They differ from traditional businesses in the sense that their success relies on strong, positive communications with their customers and target audience. Statistics show that selling to a new customer costs up to 25 times more than selling to an existing customer. While there are many ways for businesses to retain their existing customers, offering exceptional hospitality services is one of the most effective. It's usually not an attractive price that motives customers to make additional purchases; rather, it's the quality of service offered by the respective business. Hospitality businesses that provide customers with a positive experience will reap the benefits of a higher customer retention rate, as opposed to their counterparts who offer a less pleasant experience. Hospitality is also important for businesses because it encourages positive customer reviews. According to a study conducted by Reevo, 88% of consumers search for online reviews before purchasing a new product or service. If a hospitality business offers poor, lackluster service, customers may leave a negative review. Unfortunately, even a few negative reviews can greatly impact a hospitality business's ability to sell its products or services. It's also worth noting that hospitality can distinguish businesses from their competitors. If a consumer is stuck between choosing a business that offers poor service and another business that offers exceptional service, he or she will probably choose the latter. The bottom line is that there are currently more than 30 million small businesses in the United States for patrons to choosee from. Whether small, medium or large, though, it's important for businesses to differentiate themselves from their competitors, and this is why learning strong hospitality skills can make all the difference.